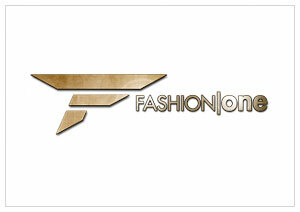 New York, January 2, 2012 – Fashion One, the international channel for fashion, entertainment and lifestyle television, announces its launch in Germany. The channel has concluded an agreement with Eutelsat's German subsidiary (Eutelsat Germany) for distribution of the channel to cable operators in continental Europe. The channels will be available in high definition to cable networks in the KabelKiosk digital television platform provided by Eutelsat Germany. KabelKiosk will carry Fashion One starting January 2, 2013. The international television network caters to a female audience with content covering the very latest in fashion, entertainment, and lifestyle news, profiles of A-list celebrities, luxury brands, holiday destinations, and red carpet events. Fashion One also delivers a strong lineup of original programming from reality shows, documentaries, beauty tips and street styling. "We are excited to be launching Fashion One in Germany with KabelKiosk. The channel will be broadcasted in crystal clear high-definition for the sophisticated audience in the region. This launch supports our drive for continuous growth in the Western European market following our launch of European headquarter last year and marks the start of a new era in the company's operations in Germany," said Ashley Jordan, CEO, Fashion One. "Fashion One HD delivers pictures in a crisp HD-quality, building a bridge between fashion, luxury and travelling. This unique mixture makes Fashion One HD a real benefit for all of our modern, open-minded KabelKiosk viewers and connect them with an international community", says Martina Rutenbeck, Managaging Director Eutelsat Germany, that operates the KabelKiosk. The channel will debut with two original programmes Fashion One Correspondence Search: London and Front Row Season 2. Fashion One Correspondence Search: London is a reality series that seeks to find the network's Fashion Correspondent in London, one of the fashion capital in the world. International stylists in Front Row will critique the season's best designer catwalks and give you insight into how to stay fashionable with looks straight from the runway. Viewers could also enjoy on-going documentary series Eco Fashion and lifestyle series Yoga, Health and Well-being.